BREMEN, Germany — NASA has released new target dates for test flights of commercial crew capsules in development by SpaceX and Boeing, with unpiloted demo missions by SpaceX’s Crew Dragon and Boeing’s CST-100 Starliner spaceships now scheduled for January and March, followed by crewed orbital missions in mid-2019. In early August, when NASA last announced schedule targets for the commercial crew test flights, SpaceX’s Crew Dragon was expected to launch as early as November on a test flight to the International Space Station without any crew members on-board. At the same time, Boeing’s CST-100 Starliner was to launch on a similar demo mission in January. Those schedules have slipped two months since August. The unpiloted test flights will be followed by crewed test flights for each spacecraft. 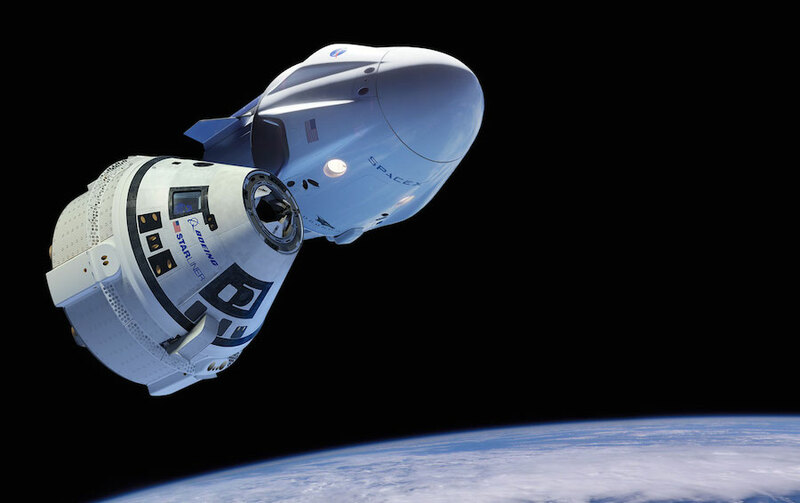 The first Crew Dragon launch with astronauts aboard is now targeted for June, and the CST-100 Starliner’s first crewed test flight is scheduled for next August. Those will be followed by “post-certification missions,” a series of launches and landings to refresh crews on the station and bring outgoing crews home. NASA said launch date planning for the commercial crew test flights has entered a new phase with both vehicles within months of taking off. Managers will balance the readiness of each spacecraft with the space station’s schedule and the availability of the U.S. Air Force’s Eastern Range, which provides safety and support services to all launches originating from Cape Canaveral and the Kennedy Space Center. NASA said SpaceX is aiming to have its spacecraft and rocket hardware ready for the first Crew Dragon test flight — known as Demo-1 — in December. But the Demo-1 mission’s launch will not occur until January in order to “accommodate docking opportunities” at the space station. The orbiting research lab has a busy schedule of visiting cargo and crew vehicles, with a Northrop Grumman Cygnus cargo spacecraft due to arrive at the station in mid-November and a SpaceX Dragon supply ship expected to rendezvous with the station in early December. In addition to the resupply flights, a Soyuz spacecraft is scheduled to undock from the outpost Dec. 13 to bring back to Earth outgoing station commander Alexander Gerst, Russian cosmonaut Sergey Prokopyev and NASA astronaut Serena Auñón-Chancellor. One week later, a different Soyuz spaceship will launch with a three-person U.S.-Russian-Canadian crew to raise the station’s staff of space fliers back to five. Those missions all use different docking ports than the one to be used by Crew Dragon, but station managers prefer to space out major visiting vehicle arrivals and departures to alleviate the workload on astronauts and ground controllers. The Crew Dragon’s crew module for the Demo-1 flight — the section that will accommodate astronauts on future missions — was delivered to Cape Canaveral in July. According to a presentation NASA commercial crew program manager Kathy Lueders to the NASA Advisory Council in August, engineers have also completed qualification testing on a redesigned helium pressure vessel for the second stage of SpaceX’s Falcon 9 rocket, a replacement for the pressurant tank design that officials blamed for a Falcon 9 rocket explosion on a Florida launch pad before a commercial satellite mission in September 2016. 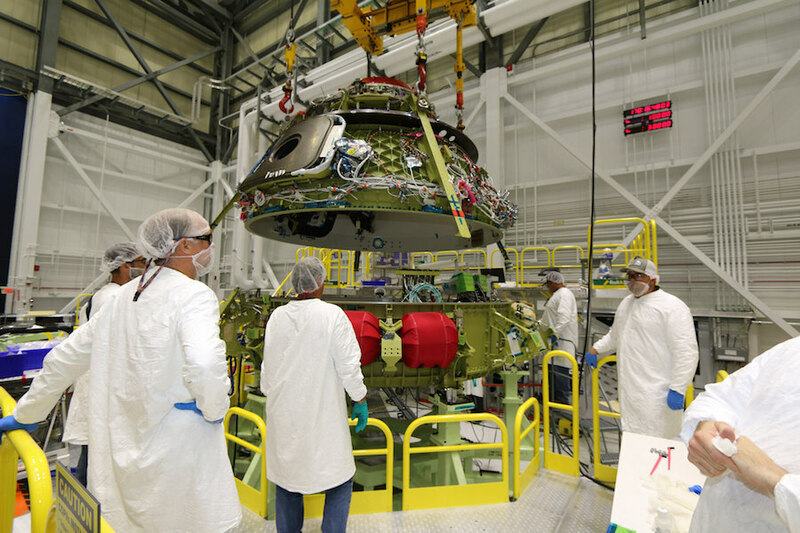 Meanwhile, the assembly of the CST-100 Starliner spacecraft assigned to Boeing’s first commercial crew mission — known as the Orbital Test Flight, or OFT — continues in a converted space shuttle hangar at the Kennedy Space Center in Florida. The capsule set to fly on the OFT mission is actually the third to be built by Boeing. The first CST-100 Starliner vehicle, known as Spacecraft 1, will fly on a pad abort test next year, while Spacecraft 2 will soon be shipped from KSC to Boeing’s satellite factory in El Segundo, California, for environmental testing, then will return to Florida for the Crew Flight Test next year. Boeing’s CST-100 Starliner missions will launch on United Launch Alliance Atlas 5 rockets. Sporting upgrades such as a twin-engine Centaur upper stage and a new safety computer to monitor the rocket’s health during launch, the Atlas 5 slated to launch the Orbital Flight Test is completed and ready for shipment from ULA’s rocket plant in Alabama to Cape Canaveral. A major reason for Boeing’s delays centers on a problem encountered during a hotfire test of the Starliner’s abort engines earlier this year on a test stand at White Sands, New Mexico. At the end of a brief firing of the craft’s four launch abort engines, which are designed to push the capsule away from a failing rocket, several of the engine valves failed to fully close, causing a propellant spill. Boeing says its engineers have identified the problem, and will repeat the hotfire test before proceeding with a full-scale pad abort test to demonstrate the Starliner’s capability to safely carry astronauts away from an emergency on the launch pad. “(There’s) one engineering hardware change, a small one, and a software change that will be rolled into the main fuel valves that will be mitigate the problem,” Ferguson said. Ferguson, a former U.S. Navy test pilot, commanded the last space shuttle mission in 2011, then joined Boeing to help manage the development of the CST-100 Starliner. Boeing announced in July that Ferguson will return to space on the Crew Flight Test, and NASA has assigned astronauts Eric Boe and Nicole Mann to accompany him on the trip to the space station. NASA astronauts Bob Behnken and Doug Hurley are assigned to the Crew Dragon’s Demo-2 mission. Boeing and NASA have an agreement that could allow managers to extend the Crew Flight Test’s stay at the space station from a few days or weeks up to six months, a measure that would help ensure U.S. astronauts maintain access to the research complex in the event of additional commercial crew delays. NASA has paid Russia for seats for U.S. astronauts on Russian Soyuz ferry ships throughout next year. Under the terms of the contract with the Russian space agency — Roscosmos — the final Soyuz landing with a U.S. crew member is scheduled in January 2020. The Boeing and SpaceX spacecraft, which are owned and operated by their builders and not NASA, will end U.S. reliance on Russian Soyuz capsules for astronaut transportation to and from the space station. Once the CST-100 Starliner and Crew Dragon ships are operational, NASA and Roscosmos plan to fly a U.S. astronaut and a Russian cosmonaut on every crew launch to the station under a barter arrangement without exchanging money, ensuring at least one crew member from each country is always present on the orbiting lab. 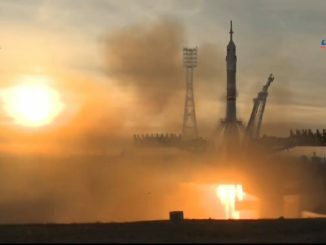 But officials are concerned that the commercial crew spacecraft will not be ready to begin regular crew rotation flights to the station before NASA’s access to Soyuz seats runs out, prompting the agreement with Boeing to potentially turn the Crew Flight Test into a long-duration mission. Managers will decide whether to exercise that option in the coming months. 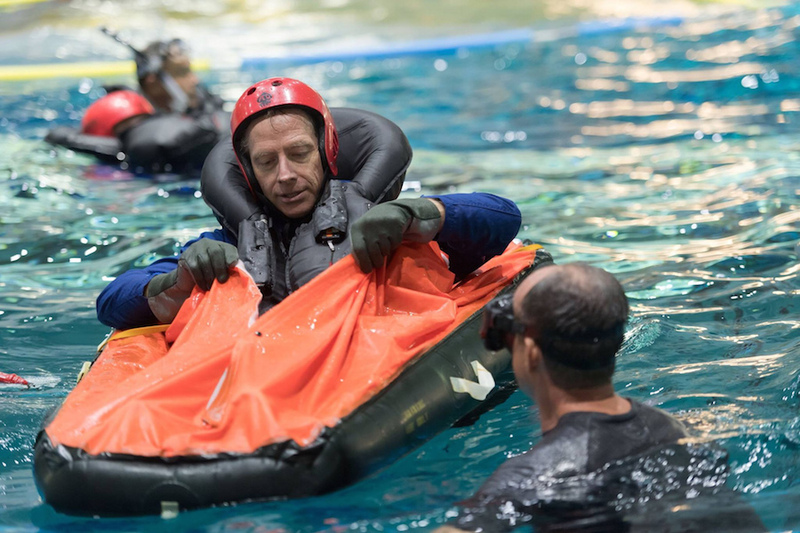 “A lot of time is being spent preparing for a long-duration stay on the International Space Station if needed,” said Ferguson, referring to his crew training with NASA. 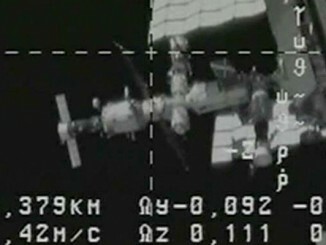 In that event, Ferguson, 57, said he will join his NASA crewmates in helping maintain the station. 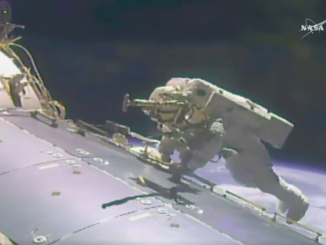 “Boeing has signed up to provide hand labor on the space station,” Ferguson said. “We’ll receive some limited training on systems, how to help out in an emergency, and just general labor, whatever is needed on ISS. He added that he never expected to live and work on the space station for months. His space shuttle missions each lasted less than two weeks.